While the obvious benefit in pursuing these options is the immediate boost to your smile, there are also a number of other motivating reasons to keep your smile at the top of its game. 1. Improved Health—Possessing a full set of pearly whites allows you to eat a greater variety of foods, rather than being limited by sensitive, damaged, or missing teeth. The ability to break down food adequately also lends itself to better digestion and the assimilation of nutrients. 2. 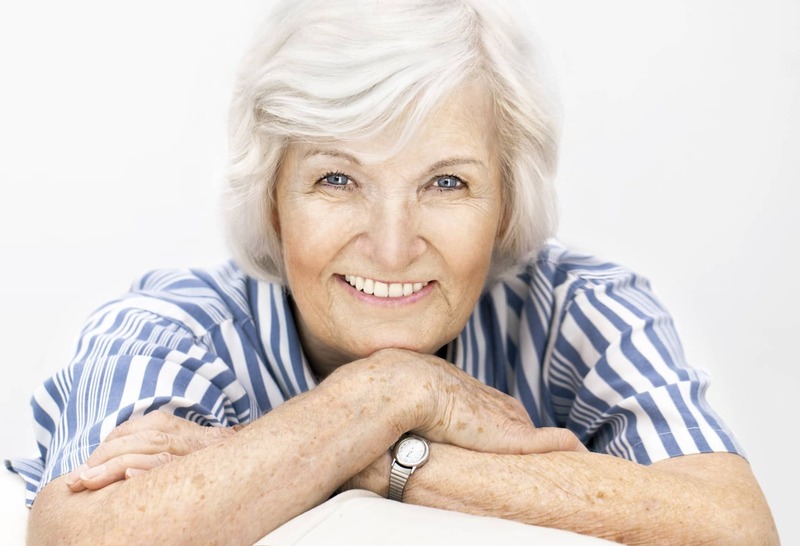 Looking Younger—Discolored smiles with missing teeth can connote poor health and premature aging. However, healthy-looking smiles that shine brightly do wonders in turning back the hands of time to make you appear and feel years younger. Some options such as teeth whitening and cosmetic bonding take years off the appearance of a smile in as little as one visit! 3. Boosting Self-Confidence—Thanks to our cosmetic options, you won’t have to feel embarrassed about the state of your teeth. No more covering your mouth every time you smile or worrying about denture movement while speaking and eating. Let your smile be uninhibited while enjoying the positive attention a gorgeous smile attracts. Your true age doesn’t need to dictate the beauty and vitality of your smile. Dazzle strangers and friends alike through those “golden years” with a smile that’s healthy, youthful, and boasts confidence. Contact us today to discover what modern cosmetic dentistry options will be most beneficial to your circumstance and smile. Dr. Michael Bodensteiner prides himself on being a top dentist in Visalia, CA because he always offers the best care to his patients, no matter their age.